Is Your Tree Too Close to Your House? Though the shade of a well-placed tree can improve a hot summer’s day, a falling tree can be serious. 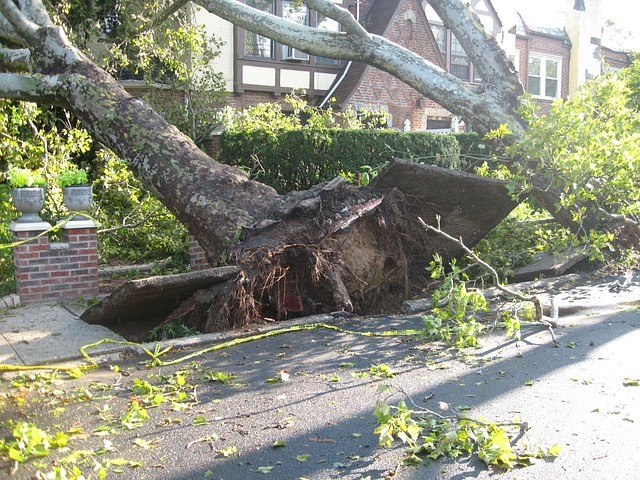 Whether the tree falls onto a car or onto your home, the damage it can do will be serious. That’s why it’s best to address trees when they seem like they’re getting a little too close for comfort. Trees wracked with disease or trees that get knocked down by extreme weather may show signs of potential issues before they fall. Some of the common symptoms of damaged or sick trees include splintering bark, mold, signs of disease, or cracks in limbs or the tree’s trunk. If you notice any abnormalities with your trees, particularly the ones close to your home, contact a specialist have it removed. If a tree were to fall on your car, particularly a tall one, it would likely total the vehicle. Not to mention the dangers a falling tree can pose to people, pets, and infrastructure. Falling trees can take out power lines, seriously damage your roof, and wreak all sorts of havoc. To prevent trees from falling, you need to make sure that they’re healthy and that the soil holding them in place is secure. After a particularly heavy rainfall, soil can soften to the point of losing control of the tree they’re holding onto. If your tree is on a hill, then you are particularly at risk. How Can You Avoid Falling Trees? One of the best ways to avoid problems down the line with falling trees is to make sure that they are planted in safe, strategic places. However, if the trees are already on your property, you should make sure they are pruned and monitored for potential issues. Regular pruning can help to reduce the weight of the trees on your property. If you’re not sure about the health of your trees, then a specialist can evaluate them, and advise you. If you need help with your trees and you don’t know how to get started, we’re here to help. Our expert arborist services will address your tree-related needs from pruning to removal, diagnosis and more. Contact us today for more information and to set up an appointment with us. This entry was posted on Wednesday, December 26th, 2018 at 12:32 pm. Both comments and pings are currently closed.